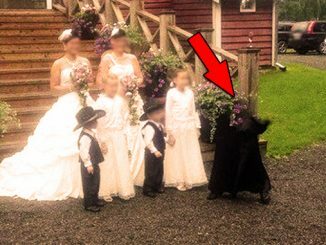 Below, read about some of the most disturbing Facebook posts with scary backstories that have ever appeared on social media. Most of the time, social media is a harmless way to keep in touch with friends and family and to share interesting content. However, sometimes users take to social media with posts that are truly frightening. On September 1, 2016, Charlie Carver’s Facebook page announced that he had just gotten married to his girlfriend, Kala Brown. While this may seem like a sweet and joyful social media announcement, for friends, it was the first in a series of Facebook posts with scary backstories. The day before, the couple was supposed to meet a friend for dinner. Neither of them showed up at the restaurant. Worried, the friend asked family and friends if they had heard from the pair, but no one had. They tried calling, but both phones were shut off. The most disturbing piece of evidence that was found was the couple’s dog: he was locked up alone in the house with no food or water. According to her friends, Brown loved the dog dearly, and would never abandon him. The next day, the mysterious Facebook posts began. Friends and family were particularly confused because Carver rarely used Facebook. The post about getting married was the first of many. Suddenly, the page began to be filled with news stories about the missing couple and disturbing memes. Many people tried commenting on the posts, trying to get answers, but whoever was posting refused to answer. 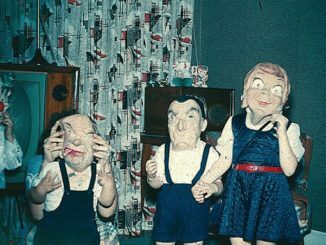 Carver’s mother noted that her son never shared dark memes like the ones appearing on the Facebook page. She also stated that the photos of the couple being posted were not new; they were all at least a year old. Brown’s Facebook, on the other hand, showed no activity. The last post from the account was on August 27, four days before she and her boyfriend went missing. On November 3rd, Brown was finally discovered by authorities, chained to a wall inside a storage container. The couple had been taken hostage by serial killer Todd Kohlhepp after they went to clean his residence in rural South Carolina. Carver was found dead of multiple gunshots on the property. Kala Brown managed to survive the ordeal and went on to testify in court. Kohlhepp was sentenced to seven consecutive life sentences after being convicted of seven counts of murder, two counts of kidnapping and one count of criminal sexual assault. Facebook is a common place to share reports of people who have gone missing. Social media allows you to reach a wide audience and increase the chances of finding the missing person. However, the next time that you see a post about a missing teen or child, be wary: you may be looking at one of many Facebook posts with scary backstories. It’s called the 48-Hour Challenge. To participate in the game, players, typically teens and children, are required to “go missing” for two days. While in hiding, the teens and children keep track of how many times their disappearances are mentioned on Facebook. Each time their name comes up, they get one point. It is a disturbing popularity contest meant to determine exactly how much you would be missed if you actually did disappear. However, this is far from being a harmless prank. The parents of children and teens who decide to participate in the 48-Hour Challenge are understandably frantic when their children go missing. Parents are also concerned about where the participants are going when they fake their own disappearances. There are a lot of places where it could be unsafe for a young person, and this challenge encourages them to go out alone. This leads many to be suspicious about the origins of the controversial challenge. 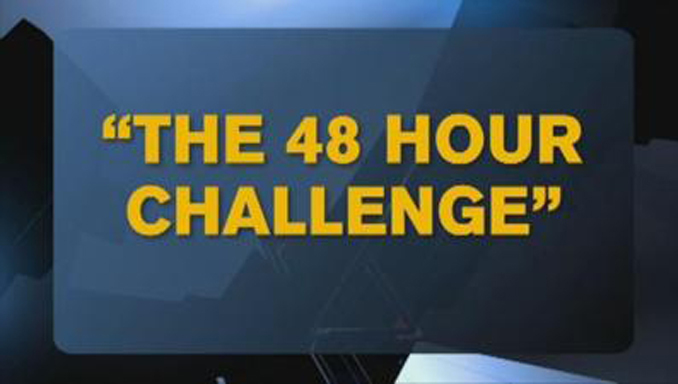 As with many bizarre internet fads, no one is exactly sure how or why the 48-Hour Challenge started. 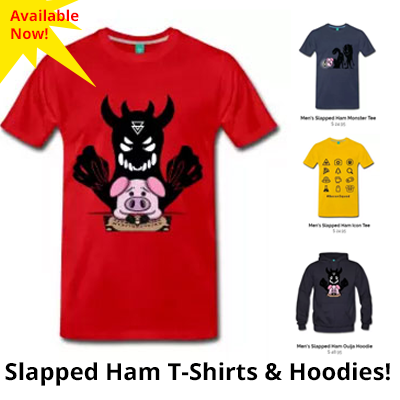 Yet, many have begun to hypothesize that it was the brainchild of child predators looking to create easy targets for themselves. So far, there haven’t been any reports of a young person taking the challenge and then vanishing for real. However, there are thousands of open cases of children who have gone missing without explanation. Who’s to say that their disappearances didn’t start out as an innocent attempt to take the 48-Hour Challenge? In May of 2018, a man named Lewis Arthur took to Facebook with a shocking claim. It was the first in a series of Facebook posts with scary backstories that would disrupt the quiet life in his Arizona neighborhood for months. In the viral Facebook post, Arthur claimed that he had discovered the lair of a local human-trafficking ring while searching the area for homeless veterans. He later updated his story to add that he had done some digging in the soil near the bunker and had found a human skull. The story quickly spread, outraging many local activists and citizens. However, when investigators were dispatched to the scene, they quickly determined that Arthur’s story had been completely fabricated. They found no indication that anyone had ever been held there against their will. Instead, they stated that it had clearly been a camp for homeless people at one point. Unfortunately, this didn’t stop Arthur. With his newfound fame, he managed to convince dozens of people from around the world to fly to Arizona to help him dig up more evidence so he could put a stop to the criminals that he believed were still targeting local women and children. The volunteers began camping out near the bunker so they could work round-the-clock, much to the displeasure of the neighbors. They publicized their efforts on Facebook as #OperationBackyardBrawl. The volunteers located several more bones, all of which were sent to local forensics labs. All of the samples were determined to be animal bones. Arthur and his followers, however, took to Facebook to insist that the police were covering up the truth. Many who chose not to join Arthur in digging through the dirt around the bunker still supported his cause. He received thousands of dollars in donations. A later investigation was unable to determine exactly where that money went, providing a possible motive for Arthur’s viral conspiracy theory. In 2017, a man named Frank Ramirez went on Facebook to post a video from the hotel room where he was staying. 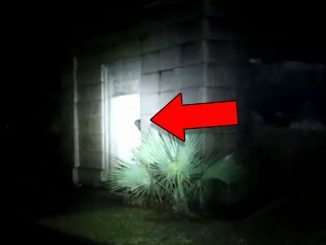 The video ended up going viral, quickly becoming one of the most popular Facebook posts with scary backstories. In the video, Ramirez states that he was lounging alone in his hotel room watching TV when various items in the room began falling off of surfaces on their own. He states that before he began recording, the handset of the room’s phone fell off the hook by itself, and then a cup fell to the floor. 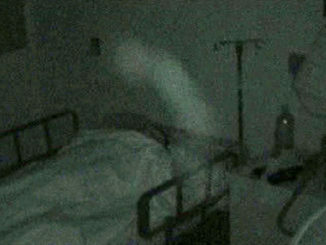 Ramirez began recording, hoping to catch any further poltergeist activity on tape. He wasn’t disappointed. Ramirez was quickly interrupted by the phone handset being launched from the cradle yet again. He panned down to show that the phone wasn’t even plugged in, ruling out the possibility of an electrical surge. The closeup of the phone also fails to reveal any strings that Ramirez could have used to fake the movement. 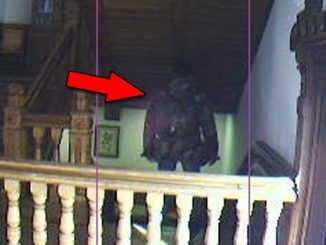 Ramirez then began talking to the entity, asking it to move something else in the room as proof of its existence. After a few seconds, a towel on the bathroom counter was pulled to the floor. He then asked for the entity’s name – an answer came back by way of the phone handset being knocked all the way to the floor. He continued speaking to the entity, asking what it wants. The phantom responded by knocking more items to the floor. Ramirez opened the door to the room, imploring the entity to leave. It apparently listened, as Ramirez’s further requests for signs of its presence went unanswered. The video amassed millions of views of Facebook, and the comment section was rife with controversy. Viewers of the post argued over the video’s validity. Some insisted that it had to be a cheesy prank set up by someone desperate for Facebook attention. 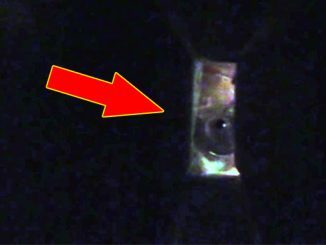 Others, who claim to have inspected the video closely, insisted that it was the real deal. 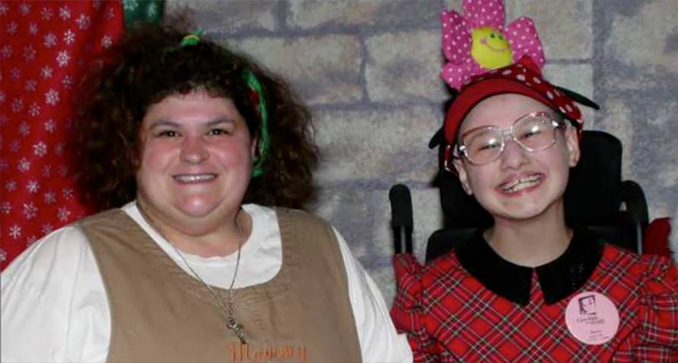 Many friends, family members, acquaintances, and neighbors regularly visited the shared Facebook page of DeeDee and Gypsy Rose Blanchard, a mother and daughter from Missouri. Little did they know, they were actually looking at some of the most disturbing Facebook posts with scary backstories that the social media site has ever seen. According to the Facebook page, Gypsy Rose had been terribly ill all her life. She apparently suffered from leukemia, asthma, muscular dystrophy, and brain damage that limited her to the mental capacity of a child. The community rallied around the sick child and her devoted mother. DeeDee and Gypsy were regularly the focuses of Facebook fundraisers aimed at providing funds for Gypsy’s care. One day, when Gypsy was a teenager, a post popped up on the shared Facebook page that made the community believe that harm had befallen the two of them. 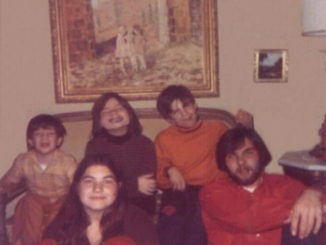 Authorities were quickly dispatched to the family’s home, where DeeDee was found dead. Gypsy Rose was nowhere to be found. Soon after, Gypsy’s secret Facebook accounts, discovered by investigators, revealed the answers to some of the case’s mysteries. Authorities began to piece together a truly disturbing history. As it turns out, Gypsy’s ailments were fake. DeeDee had concocted them to make her daughter dependent on her and to defraud her community of money through charity fundraisers. Gypsy eventually realized that her mother had been lying to her and the rest of the town. Authorities also discovered that Gypsy was older than people thought: she was actually an adult when her mother was killed. Authorities quickly figured out who was responsible for DeeDee’s death. The secret Facebook accounts revealed that Gypsy had an online boyfriend and that the pair had plotted to kill DeeDee so Gypsy could escape her mother’s control. 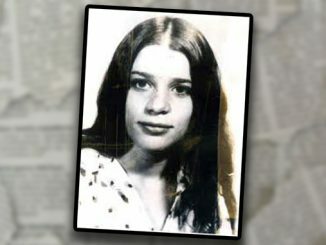 Eventually, the two were located and arrested for DeeDee’s murder.